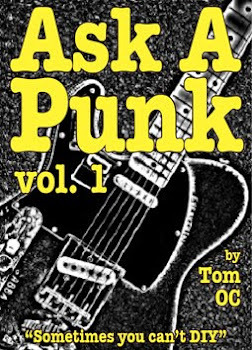 Ask A Punk: Shameless Self-Promotion made easy, and less shameful. Shameless Self-Promotion made easy, and less shameful. I want to take advantage of all the online things I can to promote my bands. I have two problems though. Which ones to pick and choose from and also I don't like having to give so much personal information to all of these sites. I'm not overly paranoid, but I just wonder why they need so much information. So how do they say it? What is the best way to leverage my bands online presence, and how do I accomplish that without letting the world know all my personal stuff. - savvy but. So what am I saying? I'm saying that just because some business, online or otherwise, SAYS that they 'require' certain information... That doesn't mean you have to give it to them. Every website or "online community" starts their ball rolling by telling you all the wonderful services they provide for you, for "free"... but in order to use the services you run a gauntlet of personal questions. Name, address, zip code, date of birth etc... In some cases, sure, the date-of-birth is required to prove you're an adult... but do they need your exact birthday? No... get the month and year right then pick a different date. Same goes for your zip code... with your name and zip code they can sell that info to junk mailers etc... so pick a zip code somewhere in your general vicinity, this is especially easy if you live in a big city... as far as 'names' go... why use your whole name? Maybe just some initials instead or use the name of your band instead. I'm not talking about committing fraud here... and granted some of this manipulation might qualify as a terms of service violation (IF they ever bother to check)...but it isn't like you're committing perjury or anything. YOU decide what information you want to give out...not them. So always keep that in mind. Now as to what online tools to use... THAT is a big question... and one I think I've answered before, but I'm too lazy to search the AAP Archives tonight... so here goes. Obviously your band needs a website of its own. It should have links to your upcoming gig schedule, photos and audio clips from previous gigs and a way to contact you. You don't need to pay some stranger a big pile of money to create a website either... look into various free (or nearly free) CMS ("content management systems") solutions... like blogger or wordpress or posterious or any of a dozen other companies... You can slap up a basic website in a few hours... then, as you learn more about it, you can build a more engaging website, with more of the bells/whistles. 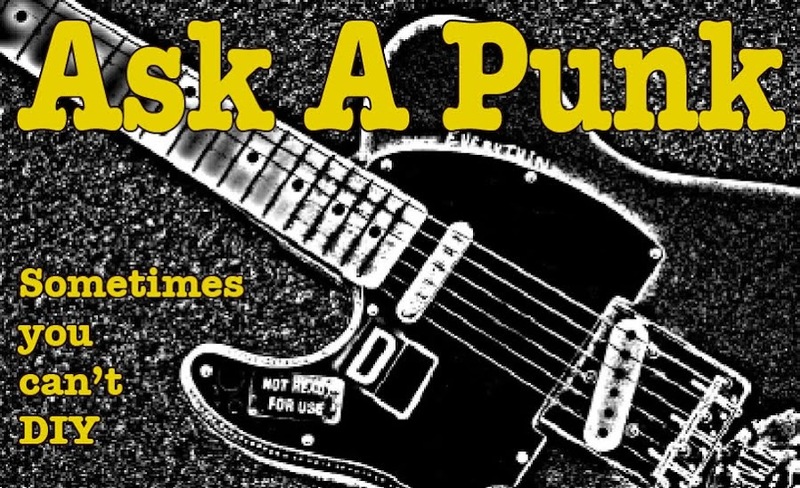 In addition to a band website, yes, create a Facebook page, or group, for the band... They haven't quite figured out what they are doing on this stuff yet, but obviously FB reaches the most people. Maybe get a MySpace band page, maybe not... the online world seems to have left Myspace on the side of the road. Twitter? I don't know. Is your band already popular enough that it would be easy to get 'followers'? ...and do you have anything worthwhile to tweet about? - upcoming gigs new recordings for sale etc? ...if not, you probably don't have to worry about this much, although you might want to sign up w/your band's name...just to make sure it is yours when the time comes. Once you've got your website and facebook group and all that, you can't use these sites just as billboards for the latest thing you're trying to 'sell.' ... You've got to reach out to your community (whatever it is) and be interested in what they're putting out too. Think about it. How much do you hate getting 'come to my gig' emails from people who ONLY send you 'come to my gig' emails? ...don't be one of those people. Sign up for any LOCALLY run website that covers your town's music scene... be an active member: post comments on the things you like (ignore the things you hate, unless you're trying to score points by being a D-bag.) ...and hey! If there isn't a central kind of website that pays attention to your local scene: the bands, the clubs, the shows the people etc ...then MAKE ONE YOURSELF... build a website or a 'Ning' network or something... Create something that people will enjoy and FIND USEFUL to THEM. Build that kind of crowd, do something for them and THEN those people will want to come to your gigs, forward your links and download your songs. Remember: Networking, on-line or in real-time, has to work both ways. It is that simple and going 'digital' or 'online' hasn't changed that. The rule has always been: If you want people to come to your gigs, you have to go to theirs. It is the same thing online.